Shenanigans and monkeyshines | Name-Brand Ketchup. Slightly risqué joke for a Friday. A race of aliens visits Earth one day. They come in peace; and, surprisingly, they speak perfect English. Obviously it’s a once-in-a-lifetime event. All of the heads of world government and all the religious leaders want to speak to the aliens. So a meeting is set up. A man and woman are dining in a restaurant. They’re obviously in love, and things are becoming serious in their relationship. A violinist is playing romantic music. The lights in the restaurant are dimmed down low. Slightly tasteless joke of the day. Okay, this is the funniest joke I’ve read in years. Once upon a time there was a young monk named Sam. He belonged to an order that was renowned for beautiful choral singing. They trained, hours every day, refining their voices and their art. Their song echoed down the mountainside, enriching the lives and souls of the townspeople below. The order spoked regularly about an octave of rumored Magical Notes. Musicians had only theorized that these notes must exist, yet no one had ever reached one. But Sam was particularly gifted, and on his 19th birthday, in mid-song, he hit upon a beautifully intricate note of pure magic. Everyone within miles just froze in mid action, stirred to the very core of their souls by the pure bliss of the tone. And they all realized, instantly, that Sam was the first person in history to hit one of the Magical Notes. On Sam’s 20th birthday it happened again. This time no one in the town moved, spoke, or even blinked for several minutes after. As the golden sound finally tapered off and ceased, they knew that Sam had found the Second Note. The next year on Sam’s 21st birthday, a pattern had emerged. This time all the townspeople were present, listening in awe as Sam hit the glorious Third Note. Words could not do justice to the experience. People cried out in pure joy as the sound grew to a glorious crescendo. And on it went for the next few years, the Magical Notes growing sweeter and sweeter, year after year… that is until Sam’s 25th birthday. At first all seemed normal until Sam hit the next Magical Note. But this new sound was not beautiful; it was jarring and discordant. Sam was visibly uncomfortable, but doubled his resolve to get to the sweet part of the next Magical Note. Suddenly, to the horror of all, Sam spontaneously combusted! The two closest monks on stage were burned by the flames coming off of his body, and he ignited the stage curtains. Soon the entire monastery was aflame. By a miracle everyone made it out, except for poor Sam. The townsfolk were left staring at the burning monastery in sad, stunned disbelief. The mayor approached the lead monk. “What happened?” he asked. The old monk shook his head sadly. “Isn’t it obvious?” he said. 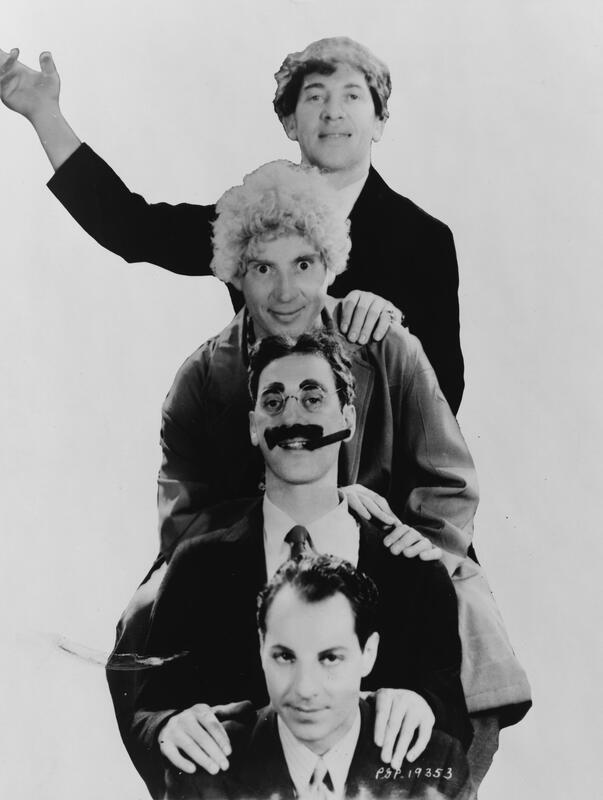 Some friends and I were riffing on this the other day: the unknown Marx Brothers. This morning we discussed a grant proposal for the Indian Community Development Block Grant. The ICDBG. I said, that sounds like something you’d say if you spotted Barry Gibb.